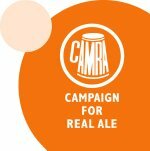 "CAMRA LocAle is a new initiative that promotes pubs stocking locally brewed real ale. The scheme builds on a growing consumer demand for quality local produce and an increased awareness of 'green' issues." More information can be found on the CAMRA LocAle Webpage. Our definition of local is a straightline distance of 25 miles from brewery to a pub stocking that brewery's beer. If the pub falls within this distance and stocks at least one local beer at all times then it is eligible for inclusion in the LocAle scheme provided the beer is of drinkable (not necessarily GBG) quality. In practice over thirty breweries in South Hants and surrounding areas could be considered as local to some pubs within the branch area. We have created a map of our branch area and breweries that are within LocAle range of it for avoidance of doubt. How are the Pubs Selected? In order for a pub to be included in the LocAle scheme it must be nominated by a CAMRA member. The member must speak to the landlord prior to nomination to explain the scheme and ensure they are happy to take part. The member will then send a nomination email to Locale Coordinator (who co-ordinates our LocAle pub database) with details on why the pub should be included (i.e. which local beers are always available). A promotional pack will then be given to the pub by the nominating member. The list of pubs in the scheme will be reported via the website and in Hop Press. It is suggested that the nominating member maintains contact with the landlord of the pub once nomination has occured, in order that any issues arising may be easily tackled. A pub's inclusion will be reviewed each year as new LocAle materials are released. What Happens if a Pub's Circumstances Change? If a pub landlord changes, or any other significant changes occur, then an email should be sent to the Locale Coordinator to inform them of the change. 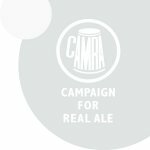 Any CAMRA member can report a change - it does not have to be the nominating member. Should local real ale provision be removed or quality fall below drinkable levels then the pub will be de-listed from the scheme until such time as it is renominated. Reports will be checked / confirmed by the nominating member before any action is taken. We hope that by adopting this scheme we will be helping to promote local beers in local pubs and, of course, CAMRA! For more information about the locale scheme in our branch please email locale@shantscamra.org.uk. The below pubs are currently part of the LocAle scheme, grouped into the Areas (and sub-areas) within our branch. If you know of a pub which would like to be included, please nominate it!